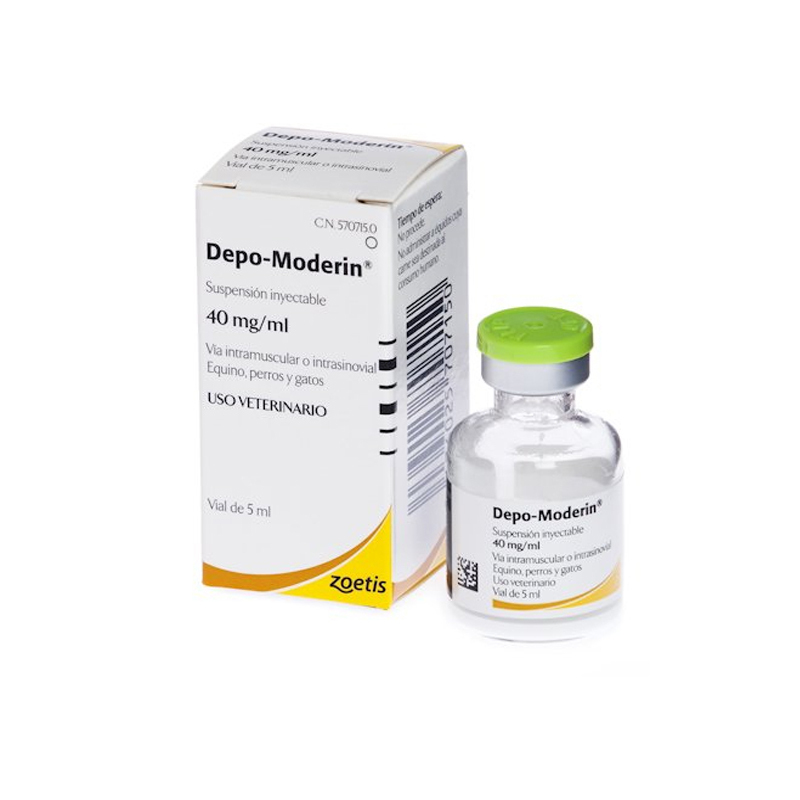 Depo-Medrone V is a long acting injectable corticosteroid for use in horses, containing Methylprednisolone acetate. It is used in horses to treat (or as part of a therapeutic regime for), musculo-skeletal conditions. It can be given intra-muscularly (not intra-venously) for it's anti-inflammatory effects or intra-articularly (into a joint). After intra-articular injection, improvement of clinical signs should be seen within 24-48hours; this lasts for an average of 3-4 weeks, but is variable. Working animals should be rested after treatment, to allow the clinical condition to resolve. Long term repeated injections are not recommended. In cats & dogs, it can also be given intra-muscularly or intra-articularly depending on the condition. It is used in the treatment of allergic or inflammatory conditions, including skin conditions; musculo-skeletal conditions; ocular/otic (ear/eye) inflammatory conditions & autoimmune disorders. Warnings & Contraindications- Standard strict asepsis should be followed for intra-articular injection. 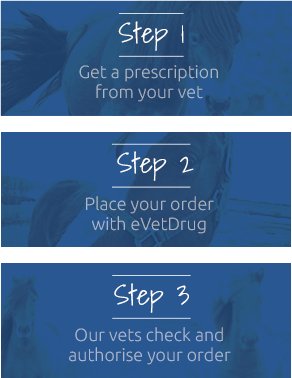 Not recommended for use in equines with laminitis.